Dumfries YMCA is a highly successful youth focussed organisation based in Dumfries and had outgrown their town centre base. They applied to the Council for the asset transfer of the former Lochside Primary. The centre will provide a full-time community, youth, family, activity and resources centre in North West Dumfries, offering a wide range of services that support children, young people, families and older people in the local area. Dumfries YMCA will be developing the facility into a multi-purpose hub for early learning and childcare services, youth services, community, family and business rooms and training kitchen for families and individuals. The heart of the centre will be a large Community Café, catering for up to 14 hours per day during the week providing high quality food and a meeting place for local people and agencies. It will also provide employment and certificated youth training opportunities. At the communities committee on 24 January, councillors agreed that the former Lochside Primary School be transferred to the YMCA for the sum of £1. The ‘Licence to Occupy’ was issued by the Council to the YMCA on 1 February to enable refurbishment works to begin. 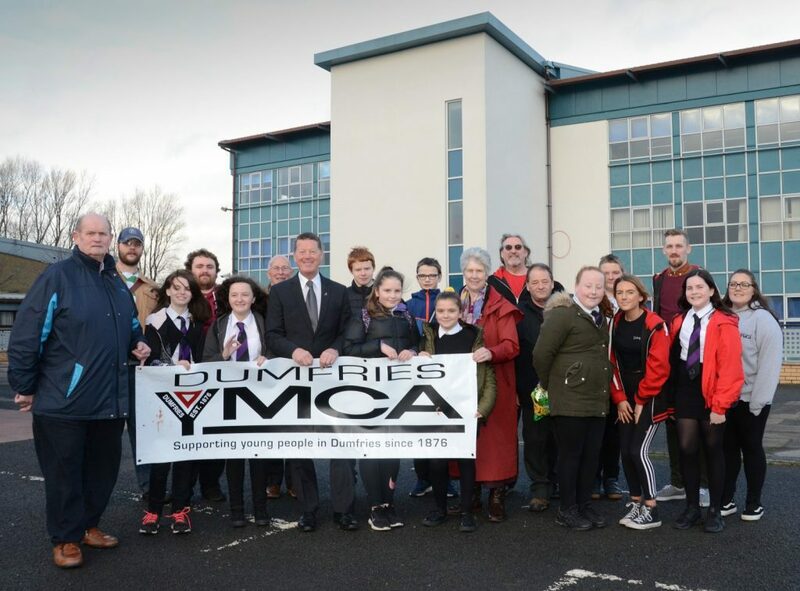 Tom Turner, Chairman of Dumfries YMCA said, “It is fantastic that we have secured the community asset transfer of the former school to enable the YMCA to develop its ongoing youth work in the area and provide a base for a number of other community organisations working in the area.